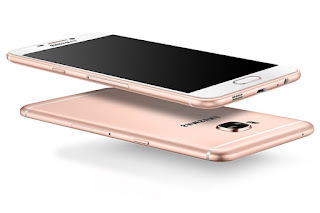 Samsung Galaxy C7 Pro(SM-C7010) and Galaxy C5 Pro(SM-5010) has been imported to India for testing Galaxy C7 Pro has been spotted on benchmark Site . Now According to import listing Galaxy C5 Pro (SM-C5010) to feature 5.2-inch Display. Galaxy C5 Pro will feature a 5.2-inch Full HD Display be powered by Snapdragon 626 processor .It has a 4GB RAM and 64GB of internal storage. On camera it has a 16 Mega-Pxiel rear and 16Mega-Pxiel front facing camera.